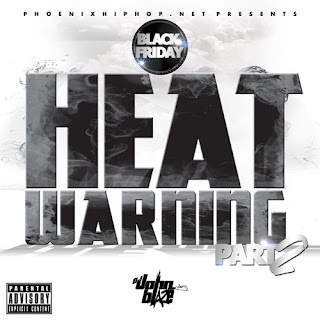 MIXTAPE: DJ John Blaze x PhoenixHipHop.Net - "Heat Warning Pt. 2"
This mixtape features several artists from Arizona such as Mav of Sol Camp, Roca Dolla, Bookie, Futuristic, D Boy, OTS, Trap, Kaliq, Zig Zag, Pokafase, G-Moe, and more. Every volume we bring you the best new songs Arizona has to offer and this volume is no different.